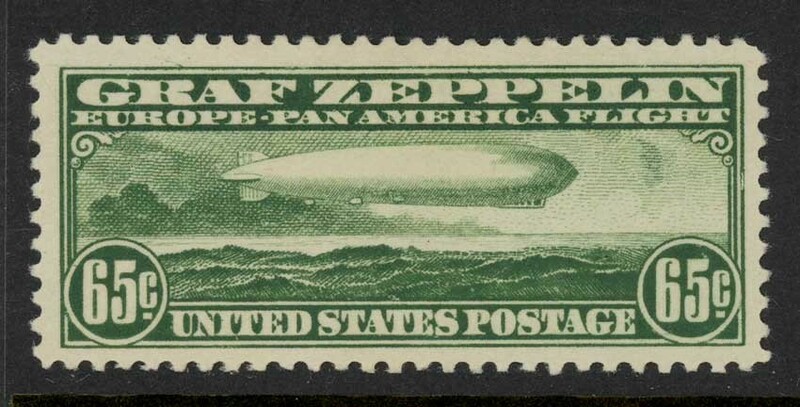 Scott C13 mint VF/XF OGph 65c Zeppelin airmail 1930, sound/large! Scott C13, 65c Graf Zeppelin airmail issue, 1930. Mint single, original gum, previously hinged. Fresh and bright with large margins, sound in all respects.